Our next concert will be on Saturday 9th December, 7.30 at St Marylebone Parish Church, Marylebone Road, NW1 5LT. 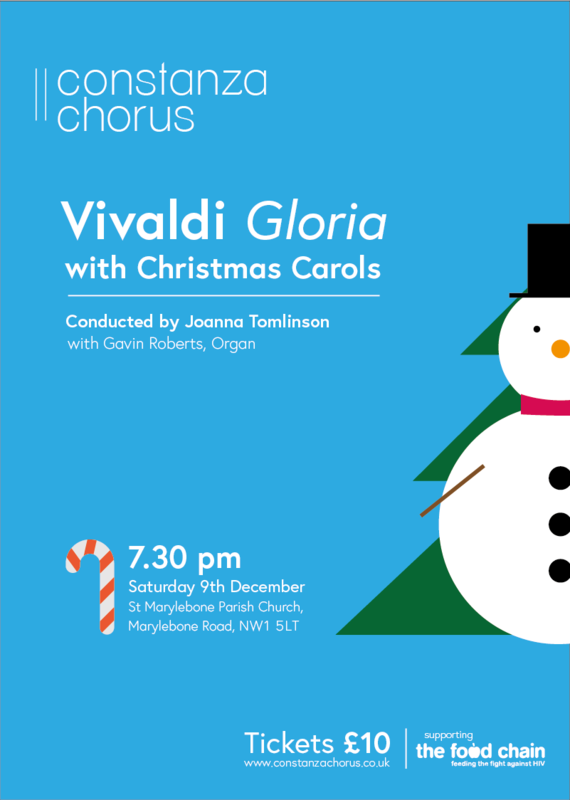 We will be singing Vivaldi Gloria and a selection of wonderful carols, including some for the audience to join in. Tickets are £10 and are available from choir members or from Eventbrite.